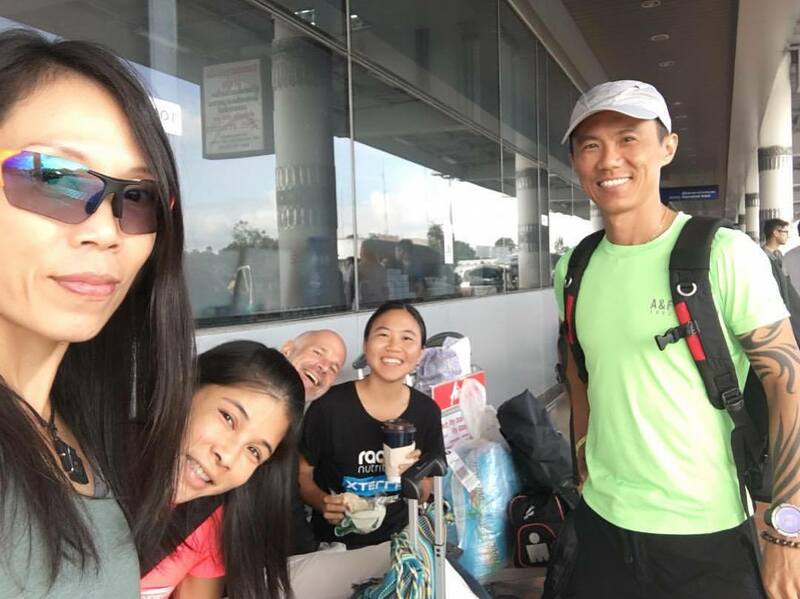 When I became aware of this race courtesy of Mark Chua @ Ultron our apparel partner @ Live Mote Kids Triathlon Series and Kris Van De Velde @ Asia Trail Masters, I thought it would be a great opportunity to get back into my preference for trail running after such a long lay off. As with many of the events that I’m fortunate enough to do, it was also a great opportunity to discover a new part of the region that I hadn’t had the opportunity to visit before. That said, given how precious time is right now, we could only do what I describe as a “splash & dash” trip. In the 4 day’s we were there though we certainly saw and learnt enough to know that this race and place is somewhere that we could recommend to others. I personally found this as refreshing as the mountain air and landscapes that this part of the world is blessed with. Although, I can appreciate how this wouldn’t be everyone’s ‘cup of tea’ and might find this a little disconcerting. As beautiful as the landscape is here, as you might expect in a race course that stretches for 122 kilometres there are parts of it that are brutal rather than beautiful. This included some knee jarring descents on concrete roads that connected the remote village communities and the network of interesting & varied terrain trails. To add to our challenge there were some inconsistent and confusing course markings, making the successful navigation of the complete course as much a test of your patience, presence of mind and orienteering skills as it was a test of your physical endurance! With a start time of 2am there were 2 long periods of darkness to contend with also. So the tiredness this caused tested these qualities to the full for us all. That is other than Jantaraboon Kiangchaipaiphana otherwise known as “J” who won in just over 14 hours & was the only person home in daylight which I was and am left in awe of! I’m similarly impressed with how professional Triathletes can finish a full Ironman in around 8 hours. 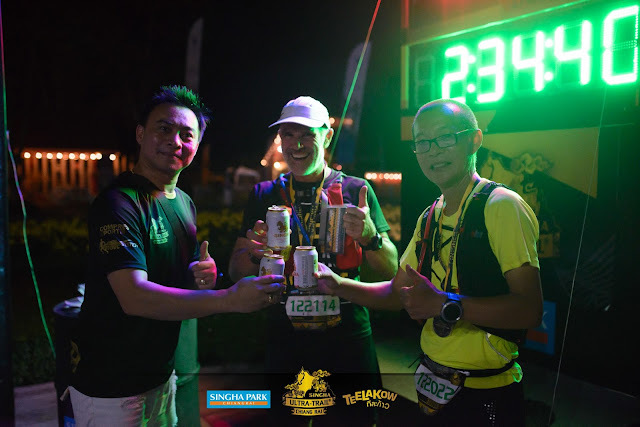 However, not to put this down in anyway, we should take note when this event and other ultra running races (particularly off-road ones) take the top people like “J” a full 6 hours longer to complete than a quick Ironman, this is a good indication of how much of a physical test this race was. There were ironically 122 starters that set out to complete this race. At the cut off, 40 hours later, only 60 had successfully found all 13 Aid Stations and made it to the finish line. So, with an attrition rate in excess of 50% do not come here expecting it to be a walk-in-the-park. Walking is possible though. Indeed it’s necessary as some features of the course that might be better described as barbaric rather than brutal will require it. In particular I refer to the final significant climb of the course that was not only obscenely steep but also treated you to a shower of ferocious little ants every time you disturbed one of the leaves they were feasting on in the bamboo forest that this climb took you through. That said, there were other areas where walking was equally necessary to conserve & refresh your energy. 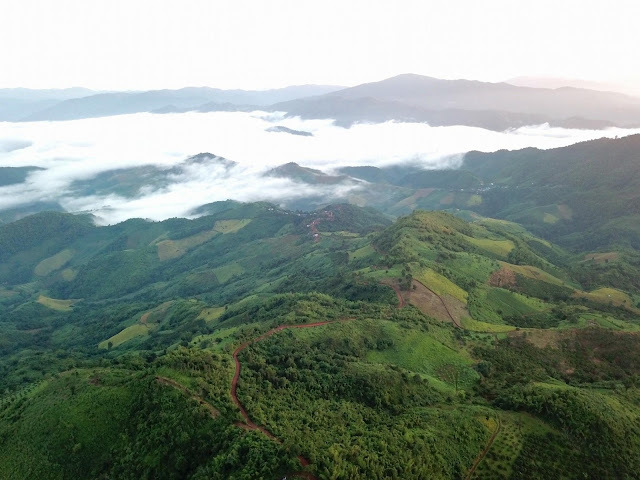 Fortunately, at these moments, there were ample areas of serene beauty that showcased Mother Nature’s magnificence, together with the ingenuity and incredible resilience and resolve of the hill tribes that farm this area. We started and finished the event from a comfortably corporate like base known as Singha Park. This was about 14kms outside of town which was accessible via a complimentary Shuttle Bus from the event Hotel back in town. These were superbly functional with clean & complete facilities for participants. Including showers, complimentary tents and an impressive central race HQ that stood out like a lighthouse. Despite these creature comforts, some, like me, may have perceived these as a little sterile. 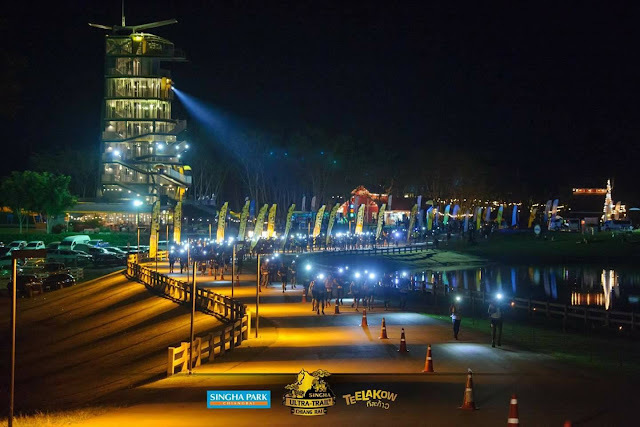 Although in fairness, the contrast of these facilities with the natural raw beauty of the race course amplified the great job that Nop Suksawat & his team @ Teelakow has done in creating a really challenging course. In short, whilst there are several areas where improvements could & can be made to make this event truly “stand out”. It was still a great event in my eyes. 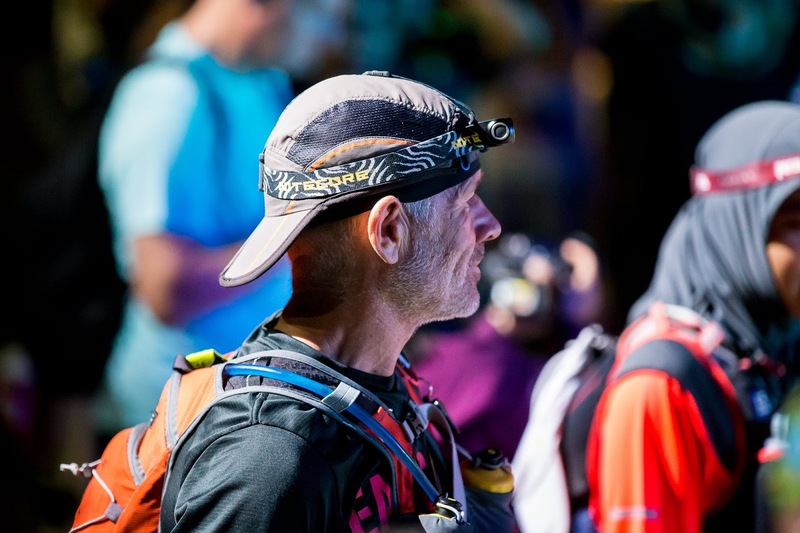 Overall, even those that struggled on the day with the course and conditions recognise this and the effort put in by the Organiser to pull of, what I felt, was a real festival of trail running for both the local and international community. 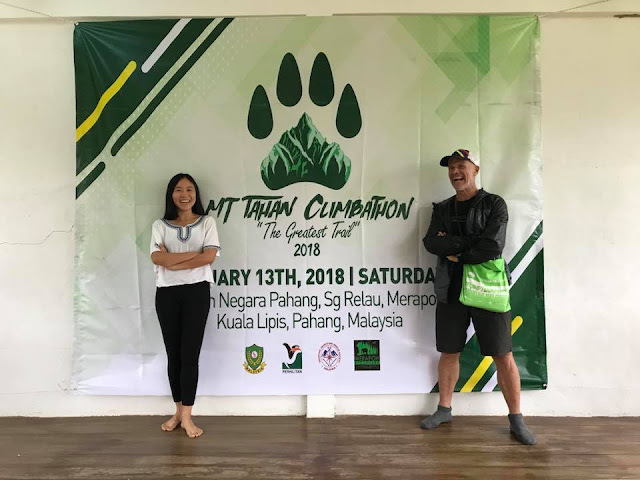 Before closing off I’d like to say a special thanks to Steven Ong, Siawhua Lim & Renee Tan for assisting us with our local logistics and to Wasin Mongkholmalee for his camaraderie & team spiritedness out on the trails as we tackled the at times confusing markings together. Finally thanks Team Teelakow, and everyone else like Ultron & Asia Trail Masters who made it possible for me to experience this event.